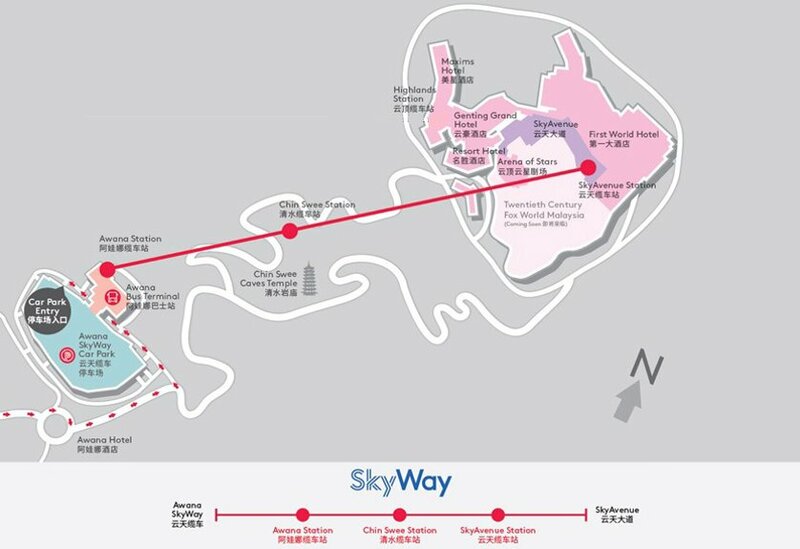 The new Awana SkyWay began its new operations in August 2016 to ascend from Awana station to the final stop at SkyAvenue station in just 10 minutes, cruising at top speed of 6 metres per second. 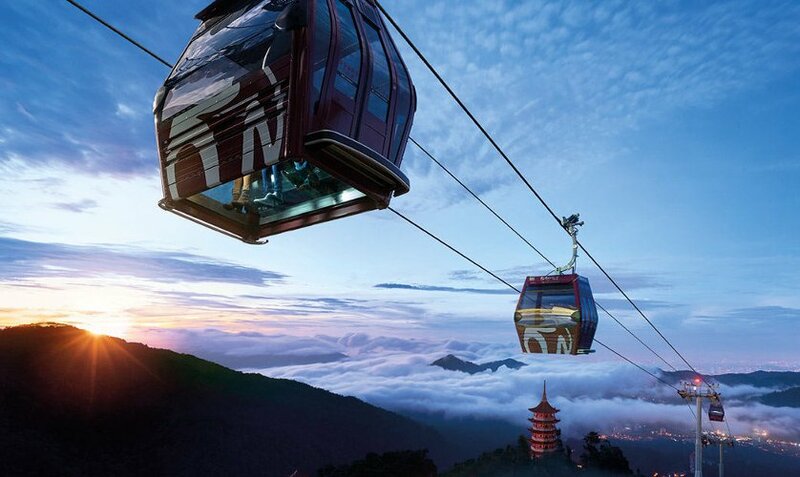 The gondolas fly over key attractions at the resort, giving you a spectacular bird’s eye view from Chin Swee Temple to the future Twentieth Century Fox World Malaysia. 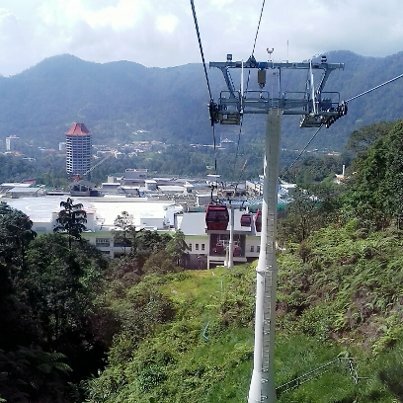 The old Genting Awana Skyway (formerly known as Sri Layang cable car) in Genting Highlands ceased operations on April 2014 to make way for the construction of a new cable car system. The new Awana Skyway took 2 years to complete. 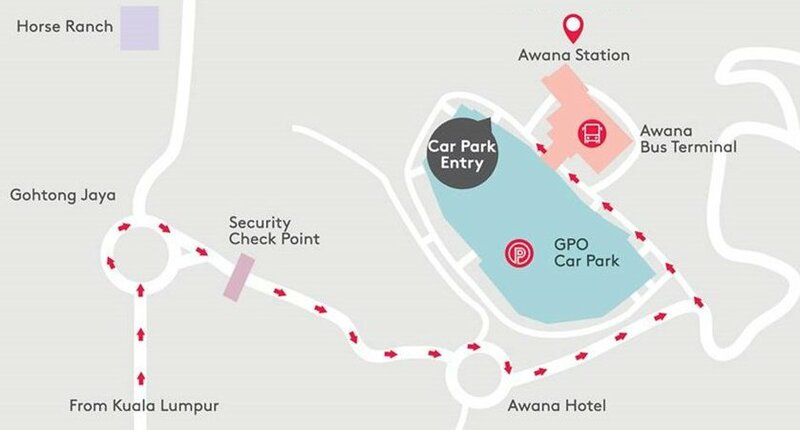 You can park your car at the Awana SkyWay car park, where 4,437 car parking lots and 633 motorbike parking lots ensure plenty of parking for guests. From the car park, you can walk across the connecting bridge to the Awana SkyWay building. 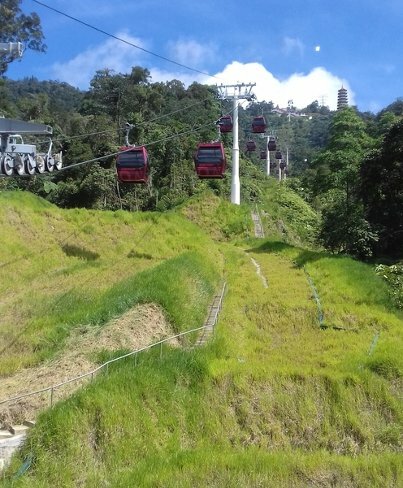 From there, you can access the Awana SkyWay cable car ride which will take you to the resort at the top of the mountain. The ticketing counters are located at the Awana Station (Level 2, Awana SkyWay building) and SkyAvenue Station (Level 4, SkyAvenue). 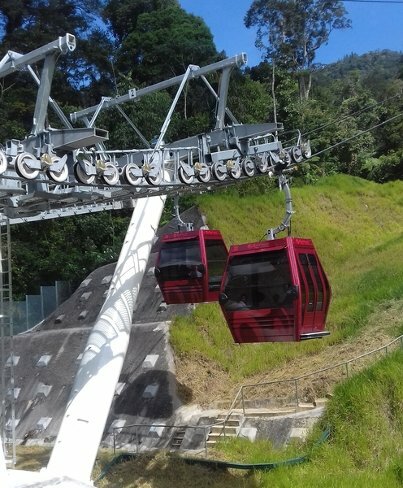 For the standard gondola, tickets are RM8 per person or 5GP for Genting Rewards Card members. An express boarding pass can be purchased for RM40. 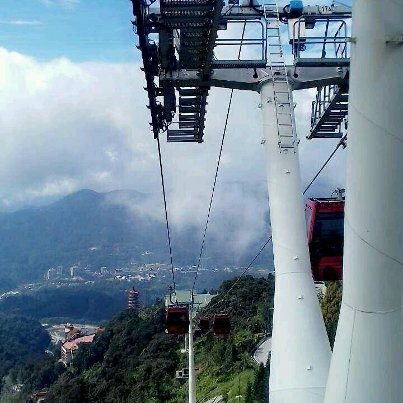 For the glass-floor gondola, tickets are RM50 per person or 40GP for Genting Rewards Card members. 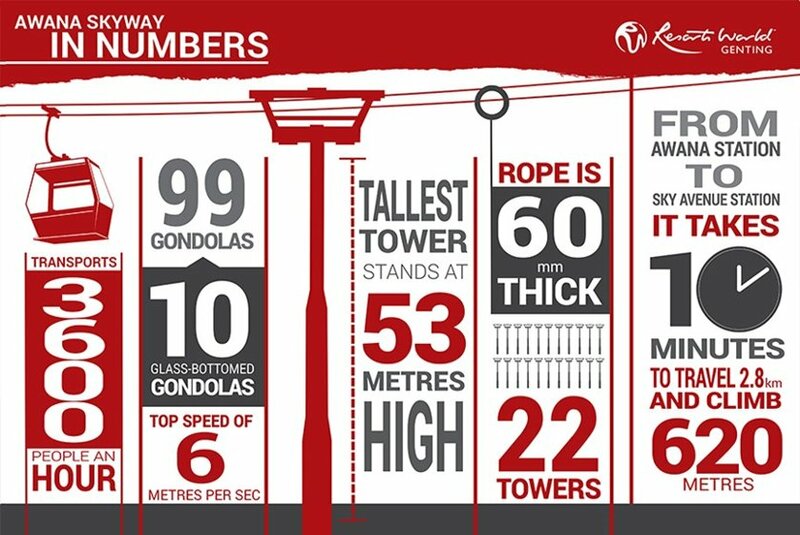 Awana SkyWay has a top speed of 6 metres per second, and is able to carry 3,000 passengers one way every hour. The 99 standard gondolas and 10 glass-floored gondolas can seat 10 and six passengers respectively. 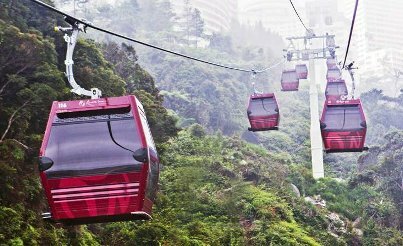 The 99 standard gondolas and 10 glass-floored gondolas stand ready to deliver a fantastic experience for you to enjoy the crisp mountain air as you make your way up to Resorts World Genting. 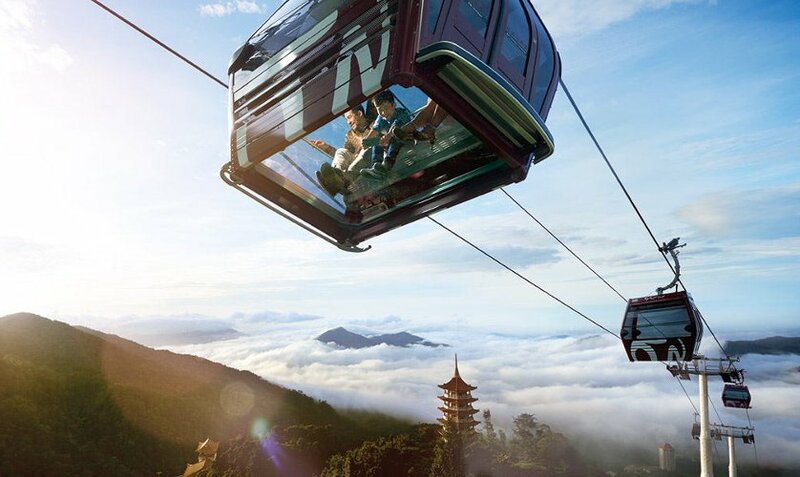 The French-made cable cars now stand at 2.1 meters high, allowing you to get in and out comfortably. 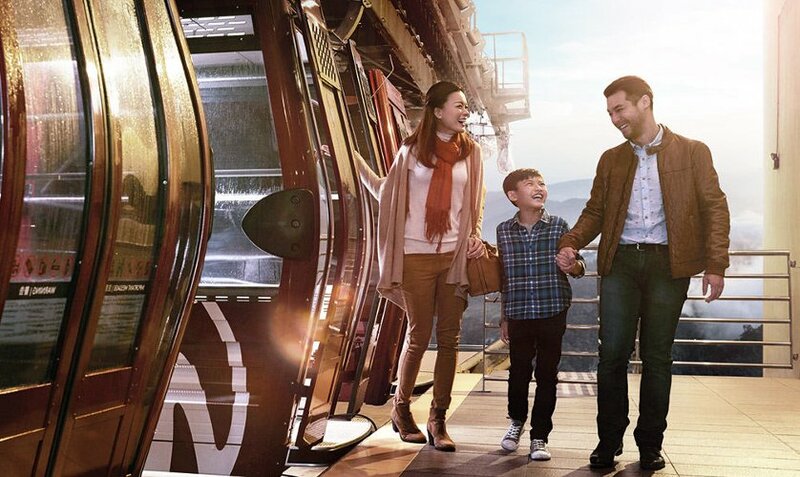 The new cabins are fitted with special windows and louvres that allow more of the cool mountain air into the cable cars for the ultimate high flying experience. 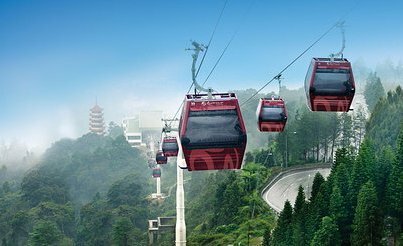 Built with safety and care, the new gondolas were built using a 60 millimeters diameter wire ropes to make your journey to the resort city a smooth and safe one! Fly up to the top in style. There’s no better time than now.